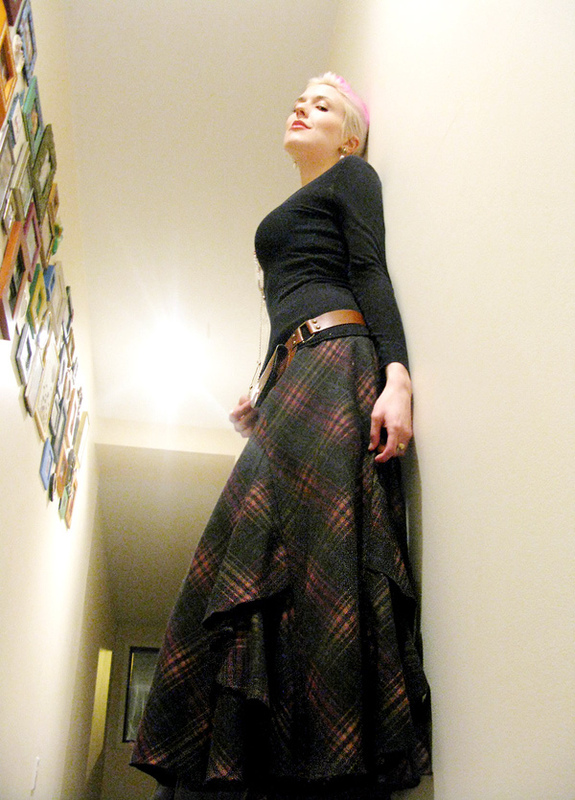 In honor of Valentine's Day, here's a little anecdote about family love: this gorgeous wool tartan skirt was another Christmas gift from MC's mom. You can bet I've rarely known people -- let alone the moms of boyfriends -- who've known my taste well enough to pick out something I'd be willing to wear, and in this case, LOVE. That's not even the best part: the shop only had this skirt in a size that was way too big, so she busted out her sewing machine and spent the afternoon after Christmas taking it in four sizes and fitting it to me! A testament to her sweetness as well as her skills. It looks perfect and I overflow with joy every time I wear it. 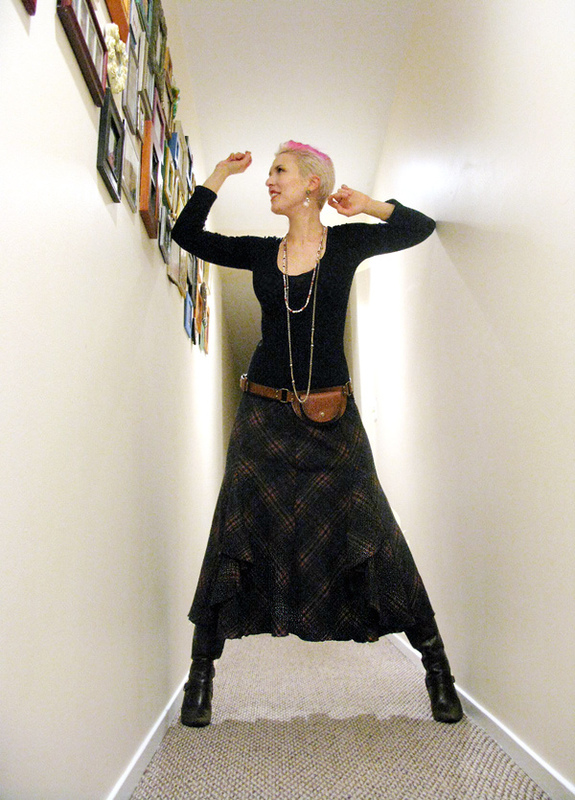 Anyway, this outfit seemed like a good chance to take some outfit pics in our hallway, as I mentioned in my last post. 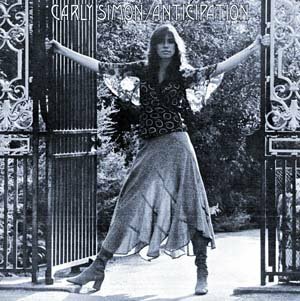 MC thought I should strive to pose like Carly Simon on the Anticipation album cover. Funny that your boyfriend's mom thinks you're a fat cow. I have a huge thing for plaid! That is a cool skirt. i love plaid and i love carly simon! this is a great post. what a sweet gift from your boo's mom!